At the conclusion of the grand finale of Miss World Sri Lanka 2017 held at the Hilton Grand Ballroom, Columbia in Sri Lanka, Dusheni Silva (aka Dusheni Miurangi) was crowned Miss World Sri Lanka 2017 and she will now represent her country, Sri Lanka in the Miss World 2017 pageant to be held on 18th November 2017 in Sanya, China. Dusheni succeeds and was crowned by Miss World Sri Lanka 2016 Amritaa De Silva. At the same event, Wasana Wickramarathne and Harini Silva were announced as the first and the second runners-up respectively. Last year's Miss World representatives Catriona Elisa Magnayon Gray from the Philippines, Jinnita Buddee from Thailand, Truong Thi Dieu Ngoc from Vietnam and Myat Thiri Lwin from Myanmar attended the pageant as special guests. Dusheni Silva is not new to the world of pageantry as she also competed in Mis World Sri Lanka 2016, and won the special award for British Cosmetics Face of the Year. Apart from modelling, Dusheni is passionate about acting as well and aspires to become an actress in future. Just after her victory, her friends and family congratulated her by posting the picture on Facebook with the caption saying, “Congratulations to our New Miss Sri Lanka for Miss World 2017 Dusheni Silva. You deserve this for all your hard work and commitment and keep pushing yourself till you make a name at the Miss World”. Sri Lanka has never won the title of Miss World in its history. 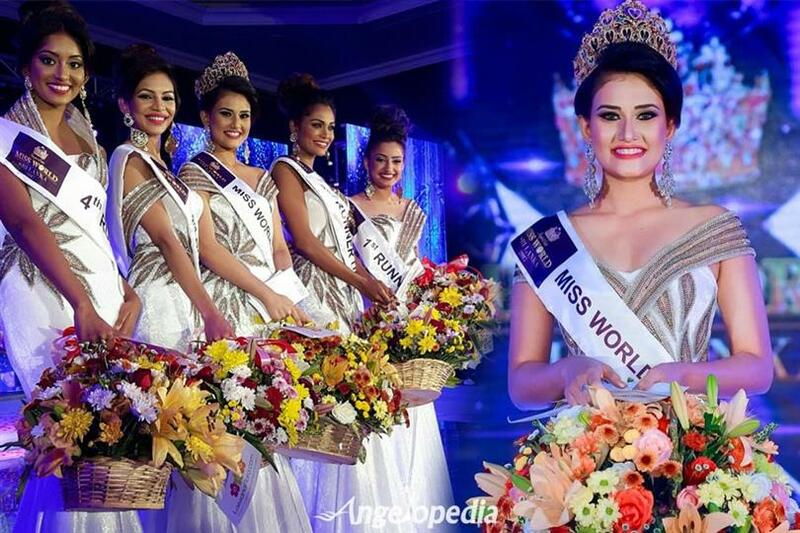 Do you think Dusheni Silva can win the first ever Miss World crown for her country?